In 2066, after a small country separates itself from the United Nations, members of the International Science Organization mysteriously disappear without a trace. Could this be the evil workings of the secret organization known as the "Gallactor"? A dragon-shaped warship emerges from the shadows, intent on destroying the Mantel Plan, which is currently attempting to unify the world's energy resources. It's up to the Gatchaman to take them down before the lights go out! The Science Ninja Team stands ready to defend the Earth against the mutant Berg Katse and his armies of henchmen. A uranium storage facility is under attack and the Science Ninja Team is called upon to put a stop to it! 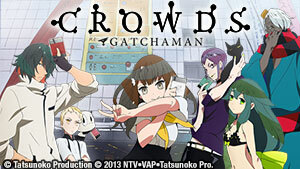 The Gatchaman get help from a mysterious group calling themselves Red Impulse. 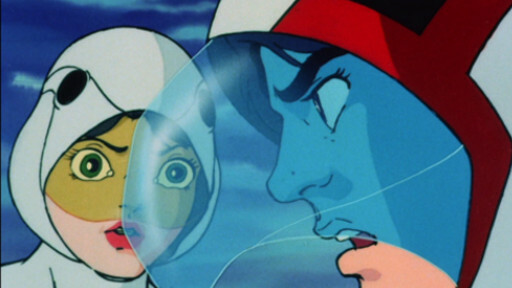 Later, the Gatchaman stumble upon the secret undersea Galactor HQ! When a spaceship disappears, along with a device that records the locations of Earth's resources, recovery takes the team to the bottom of the sea! 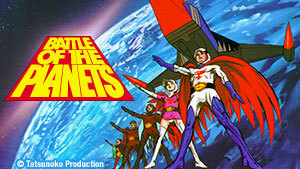 While huge mechanical drills controlled by Galactor infiltrate the Earth's core, the Gatchaman confront Berg Katse for the final battle to decide the fate of the world! Ken investigates an unexplained phenomenon that is causing passenger planes to crash, and all signs point to Galactor! 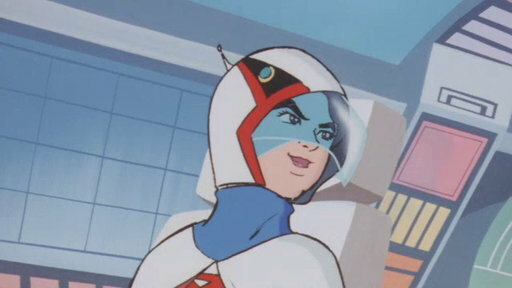 An earthquake is caused by a mecha, leading Ken to the Institute for Earthquake Research. While investigating, an unexpected casualty occurs. On a mission to the bottom of the sea, the team encounters a mysterious submarine, which leads them to uncover "The Cemetery of the Sea." The hunt for stolen gold bars leads the team to an island. Ken and Nambu disagree about their course of action. While testing out a new, environmentally friendly plane, Ken is surprised by a sudden attack from the air! Jinpei uncovers what looks to be a base in the making, but he is caught by a mecha and the base is subsequently destroyed! A meteorite with a similar composition to the moon lands on Earth, and when the team investigates, more meteorites descend with strange accuracy. The whole city loses power when the nuclear power plant is attacked by a seemingly infinite group of ants! The team is guarding a plane, but the plane's original crew members have been killed and replaced by Galactor members! The Galactor mecha, Ibukuron, steals the world's raw material for sugar. Ryu and Jinpei are called to move out! An ISO-created storage lake intended to make the desert fertile suddenly disappears. The team heads to Africa to investigate. Reports of all sorts of ships disappearing lead Ken and Jun to the North Pole where they infiltrate a secret base. Ghost City was destroyed ten years ago by pollution. When communication is lost with an investigation crew there, a team goes to search for them. Galactor manufactures a new weapon that can change its form constantly, leading the team on a wild goose chase. X wants to utilize the destructive power of the human mind, particularly children. When Jinpei becomes part of his scheme, can the team rescue him before it's too late? When whales keep attacking harbors, the team discovers that, yet again, Galactor is behind the attacks! Prince Luga contacts the ISO with an offer to give up the location of the Galactor bases, going against his father's orders. Joe suffers a great loss and an injury, while the God Phoenix is once again attacked by a Galactor mecha. E21 | Who is Leader X? The team is instrcuted to protect a doctor who specializes in cyborgs, but by the time they reach him, he's already gone! It seems he also may know a secret about X. When a uranium factory on the bottom of the ocean is attacked, Nambu tells the team to stay out of it. Ken disobeys and finds himself facing off with a powerful mecha. A new weapon, the "Mecha Ball", may be hardest to stop because its simple structure makes it impossible to uncover a weak point. Scientists at the ISO headquarters are being murdered and Nambu sends the team to act as body guards. The team ventures to protect an ISO volcanic research center as it comes under attack from a Magma Giant. When ISO ships come under attack by Galactor, Ryu cannot be mobilized and feels responsible for the aftermath. A Galactor executive named Lucy wants to reveal the Galactor headquarters to the ISO for ten billion dollars! Children are disappearing into thin air! As the team investigates the disappearances, clues seem to become harder to find. Jinpei and Ryu visit the orphange where Jinpei grew up, but harmless fun soon turns into a fighting matter. 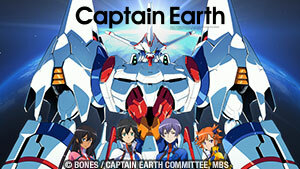 A water shortage threatens the future of Earth and the mecha responsible seems impossible to beat! Can the team figure out how to defeat it before the Earth dries up? 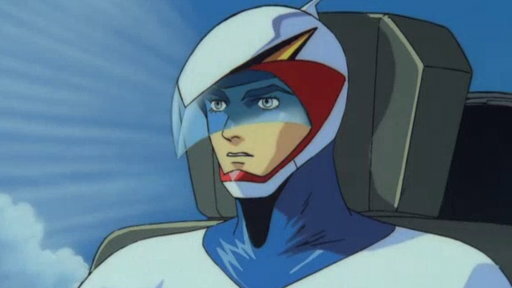 Nambu is attacked by a Galactor, and the entire team focuses their energy on keeping him safe, but Joe is particularly affected. Galactor targets a facility that the ISO has used all of its resources to complete. When the God Phoenix confronts the mecha attacking, it escapes using a smoke screen. When the mecha Gezora attacks, Jun and Jinpei are nowhere to be found! Katse publically taunts the team, saying he'll continue attacking until they face him. Strange radio waves begin to affect people in different ways. When Ryu is bathed with these radio waves, his brain becomes catlike! A civil war breaks out in the country of Doria over mining rights to recently discovered oil springs. Can the team help restore peace? An ISO research ship is attacked and sinks, taking its uranium resources data with it. Unfortunately, the only witnesses have a reputation for lying. A leading researcher goes missing. Nambu orders that he be found immediately, as his research could be dangerous if misued. A pollution free city is constructed. Shortly after the city's inauguration, the city finds itself under attack by the most unlikely of predators. Spores of the Jigokiller plant are released into Earth's atmosphere by Katse, and they begin attacking women! 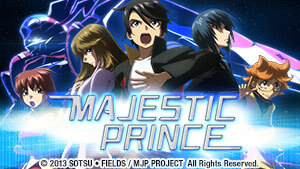 While Jinpei is addled by grief, Nambu loses himself in research and makes a discovery that may very well save Jun. The team is invited to a popular concert where the musical group is kidnapped right in front of them! 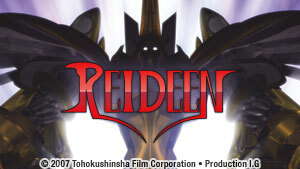 Ryu finds himself captured by Galactor and the team must find a way to save him while inside enemy lines. The representatives of Bien and Ameria plan to marry as a symbol of their countries finally making peace. However, Galactor plans to prevent the marriage to continue the war! Moroi City is attacked, but Nambu orders the team to standby because he doesn't believe they can fight the mecha's blast wave. A visit from Red Impulse may save the day. A secret ISO mining factory is seized by Galactor. It's more dangerous than ever before, as the ore from this mine produces a substance even more powerful than uranium. Ken is taken hostage at the airport and forced to pilot a plane by a strange man. After an emergency landing, Ken follows the man to an abandoned Galactor mine. Director Anderson personally transports the core of his new ultracomputer, and Galactor moves in to steal it. ISO institutions come under attack one after the other and the Science Ninja Team lies in wait at the next, trying to put a stop to the attacks. The team accompanies Nambu to a conference. When Jinpei follows what he suspects is a Galactor car, he is captured. The country Inderia has worked with the ISO to build a dam. As always, things go awry and Galactor is involved. When Ken ignores Nambu's order to spend free time at Huntwall, he is attacked while flying his Cessna, only to be saved by Red Impulse. As Ken sets out to see his father, an old childhood friend of his appears. Without Ken, the team is weakened. Humanity encounters the worst crisis yet when a Galactor rocket explodes in the Van Allen belt. The Science Ninja Team is recruited and Ken learns the truth about Red Impulse. Katse plans to annihilate uranium-related institutions all over the world. Can the Science Ninja Team stop him in time to save them? Galactor forces Nambu and the team to choose between their lives and the pollution of the seas. Is there no way for both to be saved? Jun is attacked by bikers, only to be save by her childhood friend and former racer, Koji. The rest of the team is suspicious of him, but Jun believe in him. A sniper who's been imprisoned for the last 35 years is released, and it doesn't take long for Galactor to get a hold of him. The Jet Cutter is stolen. Nambu gives the order to recover it, but Ken gets angry about having to always clean up for the ISO. Ken and Jun investigate the strange disappearance of a fishing boat, only to discover a secret Galactor mecha factory. An experiment with Galactor's brand new mecha goes awry, and Katse demands the survivors be terminated. Ken encounters three Red Impulse planes. Disregarding orders from Nambu, Ken heads toward their base, certain one of them is his father. Nambu concocts a plan to let the team get captured by Galactor in order to learn the location of the enemy base. A bizarre phenomenon has professional baseball players disappearing in front of spectators! The team is sent to investigate. What is supposed to be a day of peace turns out to be another attempted sabotage by Galactor. There's no rest for these heroes! The brains of deceased and famous doctors have been preserved, but they keep getting stolen! The team is certain they know who's behind it. Katse plans to weaken the activities of the Science Ninja Team by killing their most notable benefactor. Institutions of the Mantle Plan are attacked one after the other by a jellyfish mecha. The team must defeat it before it's too late! The team is deployed to investigate a nuclear explosion that occurs on a small island in the South Sea. In order to search for Galactor infiltrators in the country of Shosken, the Science Ninja Team splits up and tries to blend in. E70 | Death Girls Unite! Nambu orders the team to uncover the reason behind the numerous mummified corpses being found. Joe saves a girl from frenzied mannequin mechas, but Ken doesn't trust her. The ISO uncovers a new energy source in the Himalayas, but the investigation crew sent to learn more is wiped out by the region's Yeti. A leading scientist alerts every department about a strange behavioral changes in the locust population, but he is ignored to their detriment. The team defeats another mecha but Katse escapes yet again. Determined to find him, they head towards the jungle to search. A mammoth, which should be encapsulated in a glacier, appears at an amusement park that Jun and Jinpei are visiting. 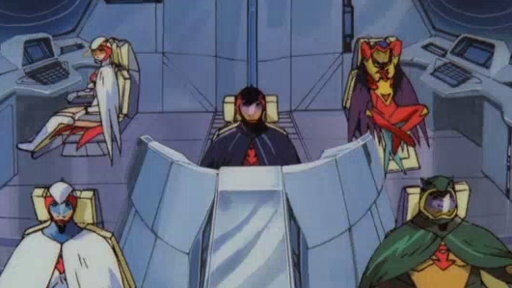 When a Galactor mecha is mobilized, one of its planes loses speed and collides with a fishing boat which is manned by someone important to Ryu. When the mobilization order from Nambu comes in, Joe is in the middle of a race. If he finishes it, he might be too late to help the team! The country of Dokual is rich in resources, but because it declines to pay support money to Galactor, the president's life is threatened. An institute that researches the Earth's crust located 10,000 meters below sea level breaks off connection. Ken and Joe go to investigate. Sensitive and confidential information about the Science Ninja Team is stolen and Namba orders the team to investigate the rogue ISO scientist who stole it. In the country Assham, traces of a confusion ray appear on the body of a murdered leader. With a few hundred suspects, the Science Ninja Team sneaks into the country. A man visits the grave of Giuseppe Asakura and his wife, which has not been visited by anybody for years. Katse goes to the island to inspect this man. E82 | Aim at the Crescent Coral Reef! A Galactor scientist discovers the electrical waves emitted when the Science Ninja Team transforms. Galactor plans to use it in an operation to discover the team's base. During construction of a subterranean ISO factory, Galactor attacks and a uranium drill falls into a crack in the Earth, which very well may result in a massive earthquake. The scientist, Demon, tries to sell his own invention to Galactor by using it to attack a cargo plane, which carries goods for those in need. An intercepted transmission reveals that Galactor spies will infiltrate Utoland City, and the Science Ninja Team goes to head them off! When a sugar substitute is developed and prepared for distribution, someone buys every last ounce of it, leaving none for public consumption. Jinpei falls in love at first sight with a girl in the mountains. He later learns that she has been abducted and sets out to rescue her. A man knows Katse's secret, and the Science Ninja Team seeks to find out what he knows to see if it could help in their battle against Galactor. E89 | Lay a Trap in the Crescent Base! Jinpei has a plan to turn the coral reef into bait which will lure Galactor, but it may work all too well. Joe and Ken have a dispute over whether or not to use their weapons, and Ken wonders about the possible futility of their fight. When a Galactor spy infiltrates a ship full of ISO engineers, the safety of the entire base is put in danger. Ken and Jun must evacuate the researchers as the ship comes under attack. Later, Nambu finds himself in a dire situation. As Katse revels in his victory, an order is received from X to make sure every member of the Science Ninja Team is dead! Ryu's father is in critical condition and goes to the hospital to check on him. Joe finds himself in a bad situation. Jun investigates the familiar Jupiter Mountains, but discovers that the ruins are hiding strange corpses. ISO intelligence may have uncovered the location of the Galactor Headquarters, but getting there is going to be tricky! The Leona 3 is launched in order to solve the Milky Way Nebula mysteries, but deviates from its planned course. Meanwhile, Nambu is missing! Joe, heading towards a meeting point, is blinded by a light reflection and runs into a woman. However, he is hiding something, and worries it might take him off the team. X orders Katse to finish off the Science Ninja Team after they follow Katse to the Galactor base. Ken begins to wonder about Joe's condition. Katse continues with his scheme to terminate the entirety of the Science Ninja Team, but they just won't give up. Joe and Ken argue over whether or not Joe should be allowed to continue fighting, only to be interrupted by Nambu. E102 | A Reversal! Checkmate X! Unable to contact Nambu, the team makes their own decisions, which could prove disastrous for Nambu. As his sickness progresses, Joe goes to the track to calm his fear. However, Galactor is waiting, and Joe is captured! X's frustration lead him to reveal the sinister plan for Earth's destruction. The team faces the possibility of Earth turning into a black hole! Even though Galactor is defeated, Nambu warns that evil still exists, as the potential to do evil deeds resides in every person.